Professor of Pervasive Computing, Professor Adrian Cheok, and his research team create the ‘Taste Buddy’. 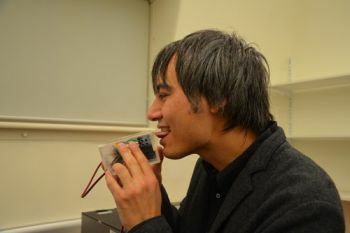 The device is placed in the mouth and emits a low-level electrical current that stimulates taste buds, imitating sweet and salty tastes and could enable people to lead healthier lifestyles. In its simplest form, the 'Taste Buddy' can be used to enhance specific tastes, such as making foods sweeter or saltier based on personal preference. Professor Cheok predicts that the ‘Taste Buddy’ could eventually be powerful enough to completely transform the taste of a specific food, allowing people to taste something they enjoy, whilst eating something healthier (for example, making a piece of tofu taste like steak). Young people can try out prototypes of the technology first hand at The Big Bang UK Young Scientists & Engineers Fair, the UK’s largest celebration of science, technology, engineering and maths (STEM) for young people. 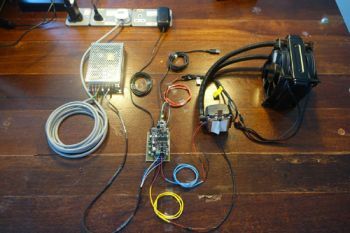 “What started out as a fun engineering experiment has now led to something much more exciting with the potential to have a positive social impact. The ‘Taste Buddy’ is a great example of skilled science and engineering working hand in hand with a relevant and fun impact. The Taste Buddy could eventually help save lives, by allowing people to switch to healthier food choices." “Many children hate the taste of vegetables. So I knew that when I became an engineer, I wanted to make a device that could allow children to eat vegetables that taste like chocolate!" A prototype is an original or first model of something from which other forms are copied or developed.